Cover Condition: Strong VG+ bordering on EX excellent condition. Has a few little nicks and some minor creasing to bottom right corner, overall nice shape! This week we have a beautiful Jazz collection up for grabs! 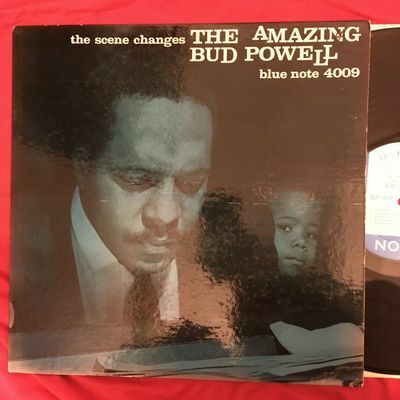 Blue Note, Prestige, Riverside, etc...90% clean early mono pressings! Please check our other listings! We are Beat Box Records, a physical record store located in San Diego. Look us up whenever you are in town, we rarely do eBay auctions, most stuff goes straight into the shop! PAYMENT: Is expected after the auction close. If we have not received payment within 8 days of the close, eBay automatically opens up an unpaid item case. If something comes up, just contact us and we can work something out. US: $4.00 Media Mail, +$1.00 each additional International: $21 for first, any more wait for invoice We will make shipping as cheap as we can. For combined shipping options please wait for invoice. JACKIE McLEAN USA original Mono LP JACKIE'S BAG BLUE NOTE 4051 1st / 2nd press ? WAYNE SHORTER "Night Dreamer" BLP 4173 MONO, "Ear," Van Gelder," 1964. "BILLY TAYLOR TRIO with CANDIDO" PRLP 7051, MONO, DG, 1956. BENNIE GREEN "Blows His Horn" Prestige LP 7052, MONO, DG, RVG, W. 50th, 1956.